Performance dance videos include a salsa performance team, Brazilian samba, West Coast swing San Diego flashmob clips, Argentine tango, Lindy Hop plus dance videos of Viennese waltz, polka, hustle, jitterbug, foxtrot performance and more! 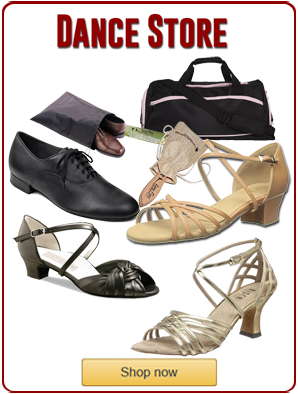 Step pattern dance videos include short demos of step patterns, dance figures and amalgamations for salsa, swing, jitterbug (East Coast swing), West Coast swing, rumba, foxtrot, hustle, bachata and other step patterns. Technique Lessons dance videos feature a short, concise lessons on dance techniques including swing rhythms, dance connection, rhythm units, West Coast swing rolling count, rise & fall for waltz, Cuban motion, prepping turns, lead/follow CBMP, downbeats/upbeats, flex and drive, foot positions and more.